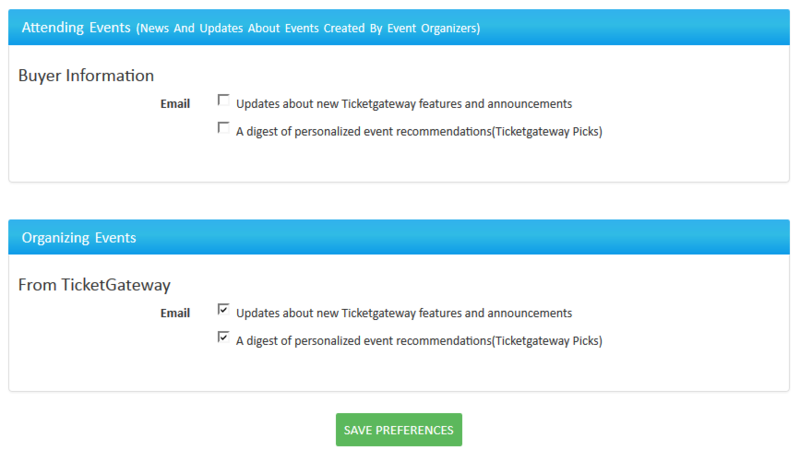 TicketGateway collects only what we need to process your order and contact you in the event of any event changes or cancellations. Your name, address, email address, and a daytime phone number are required for these purposes. We protect your personal information carefully and never sell your information to any other companies. Here you can update your contact information, home address, billing address, shipping address and working address. How can I change the password of my account ? To change your password, login and select “My Account” and then select “Change password” on the right side of the dashboard. To update the email address linked to your account, login and select “My Account” and then select “Change email” on the right side of the dashboard. How can I receive notifications about events ? To receive notifications via email, select your subscription preferences. Can I link my PayPal account ? 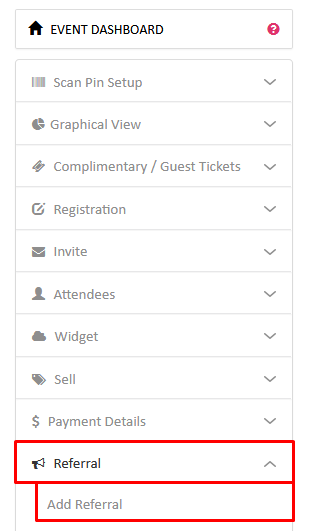 You can save PayPal email address used for your events and PayPal account used for TicketGateway referral payouts. To give another user access of your account, login and select “My Account” and then select “Multi-User Access.” From here, select “Add Email” to add a user's email address. 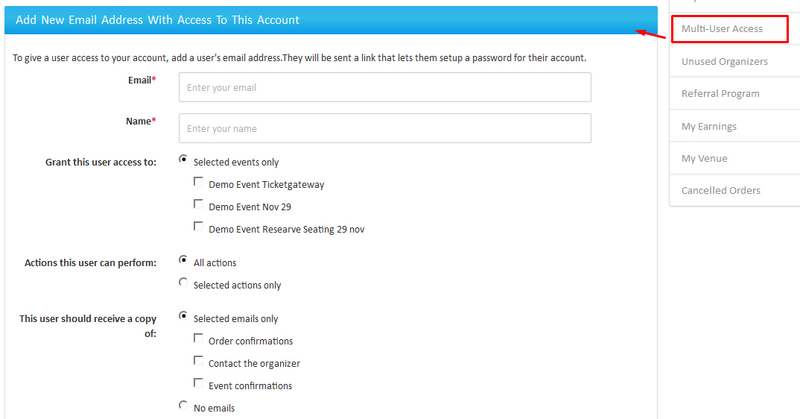 Here you grant complete and selective access to the user for yours event management and email notifications. You need to login and select My Account > Referral Program from right side dashboard. Add unique name in the text box, it will create referral URL which will track your shared data.